Western Style Resin Toilet Seat Cover is new products so popular in Europe and Asia countries, Europe standard design, fashion, novelty design. Product high resolution, environmental health, strong and durable, noble and generous, to break depressing the bathroom decorate, and to change new style bathroom for you to create a new high grade new feeling. 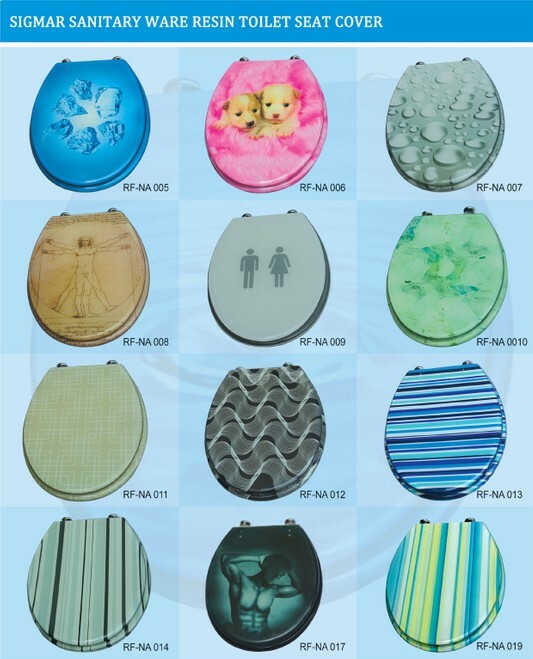 In the aspect of Resin Toilet Seat Cover material: To import environmental protection resin as raw material, not easy deformation, 100% resin with high quality, corrosion resistance, and easy to clean. Cross-linking prison, not loose and falls off phenomenon, chain metal part smooth and glossy. Seat connection accessories for chromium plating process, fixed screw with non-slip gasket, and toilet seat connection screw are with high strength alloy material, strong and durable. According to the different sizes of the installation of the toilet seat, connecting the size of the attachment to do a wide range of adjustment, after installation does not affect beautiful, products manufactured by our factory, classic one design!